LAS VEGAS — The company that made its name building .50-caliber long-range sniper rifles for the U.S. military has a smaller, but just as formidable, sniper rifle that recently won a defense contract. Joel Miller, director of global military sales for Barrett Firearms, talked with Military Times at this year’s Shooting, Hunting and Outdoor Trade Show here about both weapon systems and some changes to a venerable long-distance shooting platform. 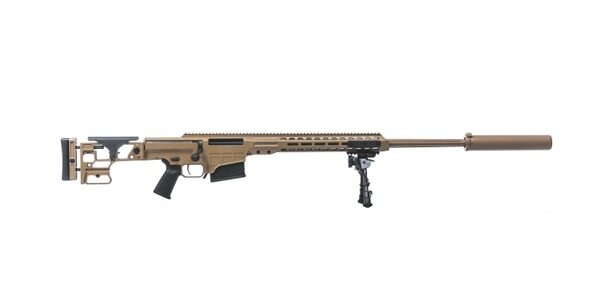 Miller said that the MRAD contract for the Department of Defense, which is for an undisclosed number of rifles in .300 PRC, emerged from work on other government programs — the Precision Sniper Rifle and, later, the Advanced Sniper Rifle programs. Special Operations Command also is seeking sources for a new Advanced Sniper Rifle. 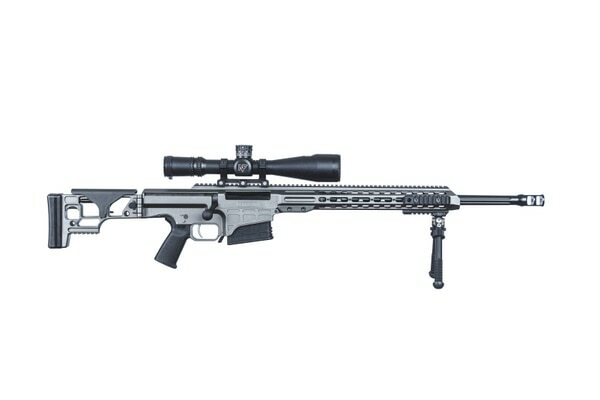 The ASR program asked industry to give the military a bolt-action sniper rifle that could be chambered in .338 Norma Magnum, .300 NM and 7.62mm NATO, with a platform for engagements beyond 1,500 meters. The rounds give shooters different mission options, from anti-materiel to anti-personnel to training scenarios. The MRAD has all three, changeable at the operator level, Miller said. The contract award does not specify how many rifles the company will build or which entity within the Defense Department will be receiving them. Miller couldn’t provide any further details. But the ASR program continues and will soon enter phase II testing, which could be within the next three months. That will replace existing SOCOM sniper rifles. The .338 NM is quickly becoming a round of choice, as it’s also the caliber of lightweight medium machine gun that Special Operations Command is seeking from industry. Ballistics experts compare its range and lethality to that of the .50-caliber M2 machine gun but in a much lighter weapon and ammo package. And as far as .50-caliber weapons go, none other than the Browning M2 has quite the recognizability factor as the Barrett sniper rifle, in service since the early 1990s. But even that tech needs updating, which is what Barrett has done. 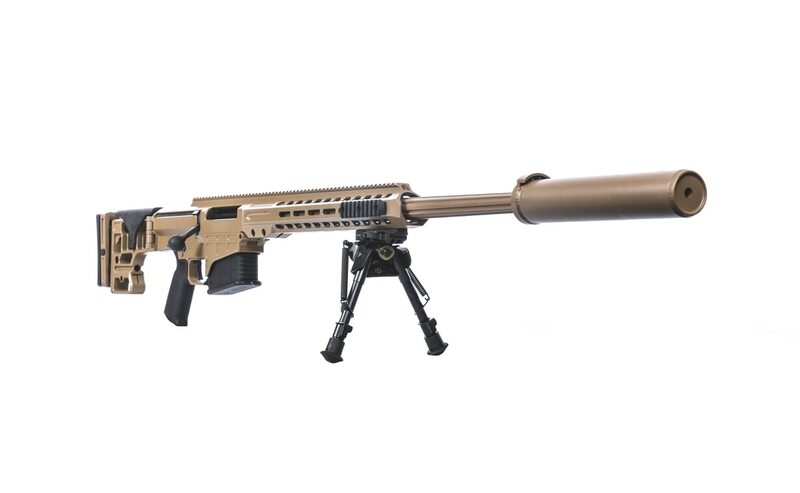 The company won an $8 million contact for the manufacture of M107A1, M107 and M82A1M, Caliber .50 Long Range Sniper Rifle systems with scopes, suppressors and spare parts kits, according to Barrett. The upgraded rifle, M107A1, comes with the following features: Lightweight aluminum upper receiver with integral 23-inch, 27 MOA M1913 optics rail, 20-inch or 29-inch barrel with fully chrome-lined chamber and bore, 10-round steel magazine with cartridge witness indicators, and anti-corrosive coating. Using the aluminum upper receiver, the newer version weighs in at 27 pounds, or 5 pounds lighter than the legacy system, Miller said. They’ve also redesigned the muzzle brake from the legacy system so it can fit a suppressor.